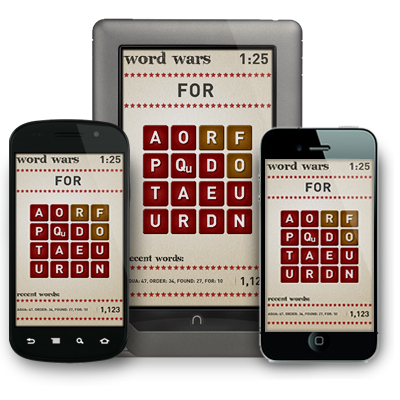 Word Wars works on a variety of devices, phones and operating systems. One of our favorite features of the game is the fact that you can play against your friends on other devices around the globe. Don't see your favorite device? Our enthusiastic team is working right this minute on adding Word Wars to as many devices as we can get our grimy little hands on. So send us an email with your recommendations and we'll hop to it. 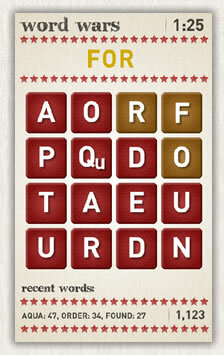 Word Wars is fun and easy to play. Register a username and login. 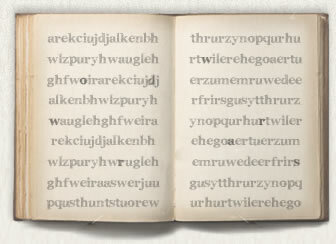 When a game starts, drag your finger on the board screen to create words. Each word is worth the number of letters squared. The work "FOR" has 3 letters and is worth 9 points. The word "FOUNDED" has 7 letters and is worth 49 points. Each round lasts only 2 minutes so make as many words as possible fast. Word Wars is the brain child of Nate Beck of ZaaLabs. Nate made the mistake of recruiting Simeon Bateman of PNW Rain and Matt LeGrand of NerdWarfare. Word Wars is built using Adobe Flash technology and uses the Stealth Framework. You can learn more about the Stealth Framework here.